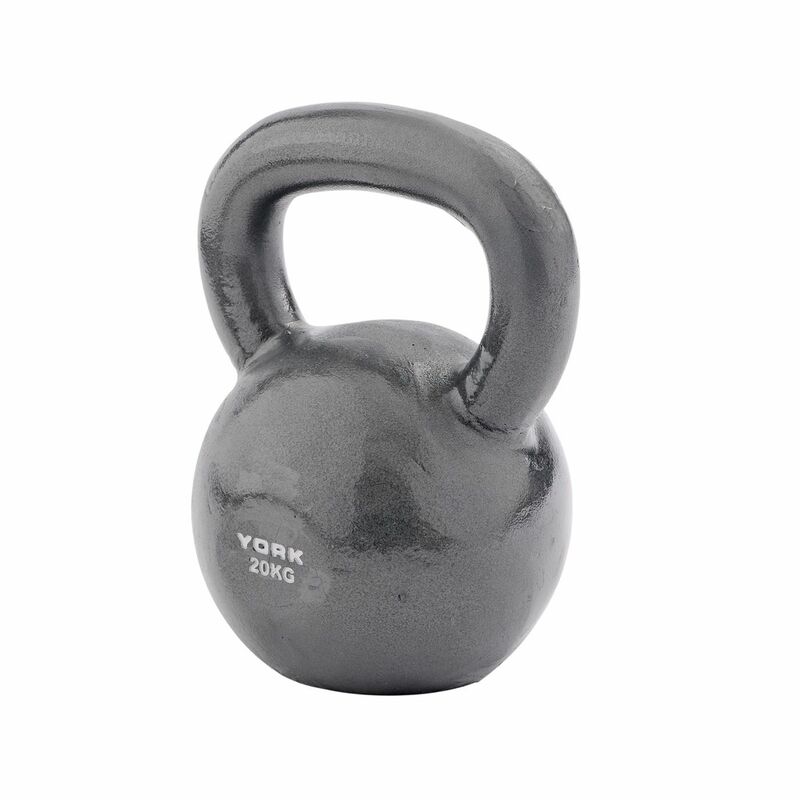 The York 20kg Kettlebell (44.1lbs) is manufactured from cast iron weight block and is supplied with an integrated secure grip which allows for various exercises. The kettlebell can be used for performing bicep curls or challenging shoulder muscles by making lateral or frontal movements. It can also be useful as an additional weight when performing crunches. Unlike dumbbells, which exercise muscles in an isolated manner, the kettlebell engages many supporting muscles at once providing more versatile and efficient workout. for submitting product review about York 20kg Kettlebell.